The Duke and Duchess of Sussex were among the guests at Princess Eugenie's wedding to Jack Brooksbank. And while there was a lot of smiling and hand-holding, there were also some tense moments, according to body language expert. Prince Harry and Meghan Markle recently shared the happy news that they are about to be parents. So we imagine that all of the hand-holding at the recent royal wedding was all part of the joy of their impending parenthood. However, it wasn't all that smooth. 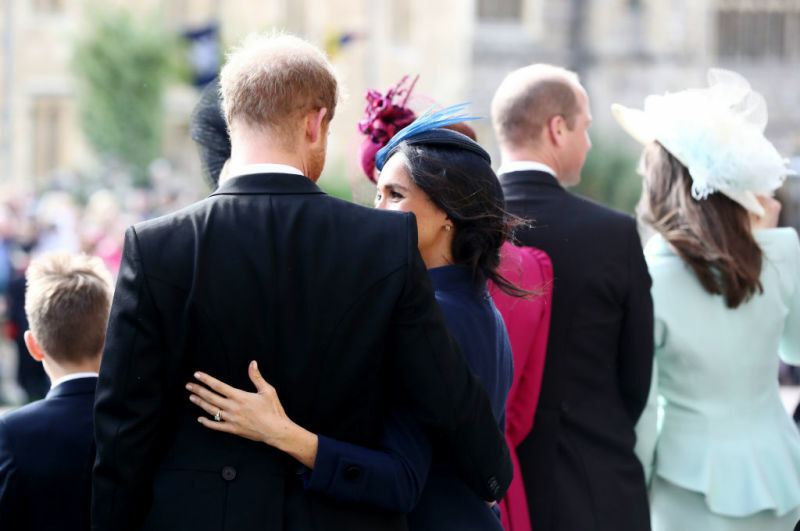 Body language expert Judy James spotted what seemed to be a tense situation between Harry and Meghan when they attended Jack Brooksbank and Princess Eugenie's wedding at St. George's Chapel, Windsor Castle. 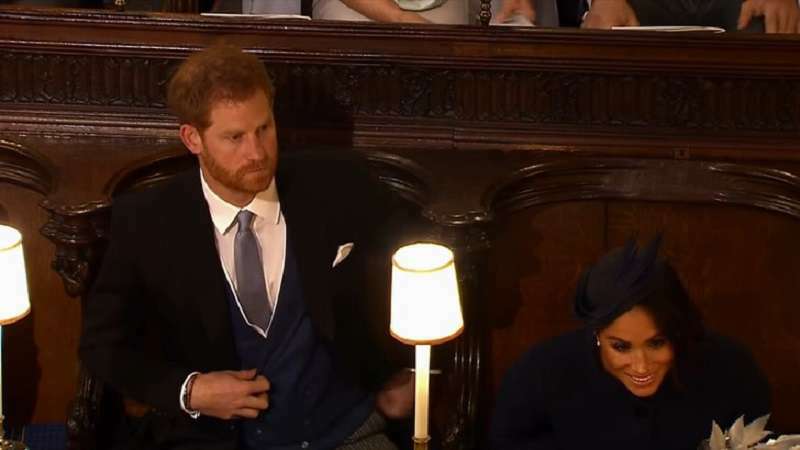 In her exclusive interview with The Sun, James said that Harry looked a little distracted and fidgety as they waited for the ceremony to start. 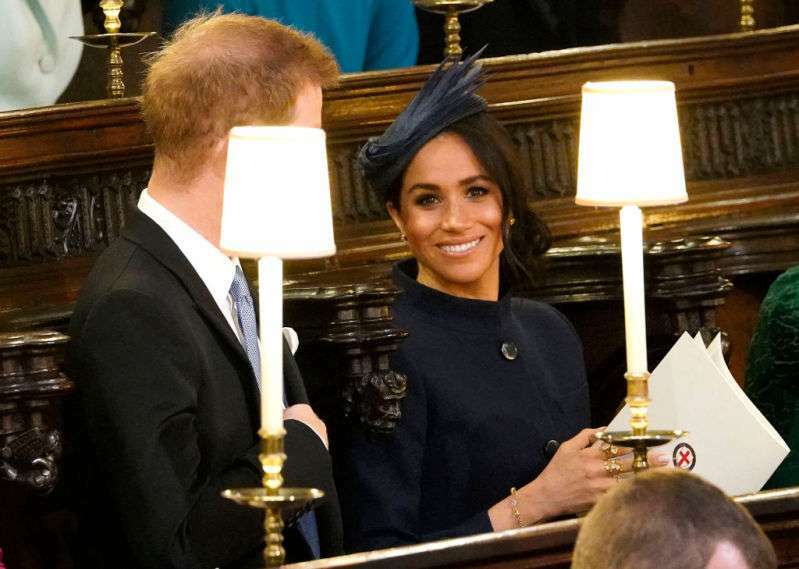 Meghan's attention, on the other hand, was not on her husband, who was beside her. Instead, the Duchess was facing front looking "demure and impervious, with a polite social smile on her face." 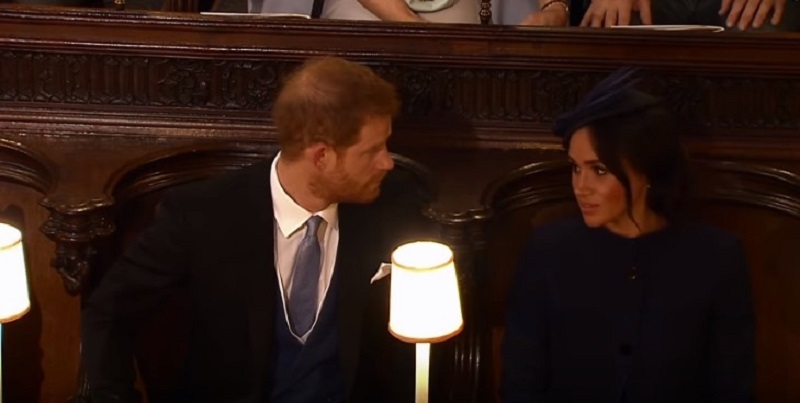 Harry mutters something to Meghan and her eyebrows raise before she turns her head towards him, using what looks like an emphatic gesture with each word of her reply. Meghan looks a little bit like a mother with a naughty kid and she even raises both of her hands in a gesture that could mean slight exasperation. Whatever she says she then leans forward to resume her conversation with the guest in the row in front. The Duke then reacted by rubbing his face slightly and sniffing as he looked away. James concluded that even though the couple seemed to have had a slight argument, all that was forgotten within a few moments as they hugged, and held hands later on. Check out the tense moment in the video below at around the 15-second mark. The truth is, many couples have arguments sometimes, even in public. So it's no surprise that Prince Harry and Meghan Markle seemed to have had one. And commenters agree. Besides, whatever disagreement, they sure handled it cooly and calmly. And considering how fast they got over it, it must have been something minor.